Our generation has been fed lies; we have literally been fed foods that are bad for us, foods that have been modified to make more money, animals that have been tortured so the farms can make more money, food that causes cancer. We have been fed lies and these lies have led us to obesity and many other great health risks. But, people are beginning to wake up. People are beginning to question authority, especially when the "authority" is making millions, no, Billions, off of our naive and gullible nature. So people are waking up and saying; animals that have been injected with antibiotics are dangerous for us. Food sprayed with pesticides are dangerous for our health. Processed foods with a million ingredients are bad for us. We are waking up and we are voting with our wallets. We are walking away from the lies. And we do not trust associations that have been paid to lie to us, no matter how professional sounding their names may be. Techniques must be simple and easy to use, there is too much at stake. With Srdjan from Croatia. The same must be true for martial arts. Slowly it is happening. People are waking up and realizing that some martial arts have long since lost their martial edge, that martial arts "modified" for sport are useless for real self defense, that commercial interests are more important to the associations than you actually learning to defend yourself. The truth is painful, it hurts. We we finally realize that most of our teachers themselves are victims of commercially motivated fraud, or that a style has been maintained for the purpose of tradition alone but is not effective, we feel duped. But it is not too late. So what can we do? How can a beginner know fact from fake? Simple, use common sense. A technique is meant to save your life, as such it should make sense to you. As such you should be able to execute the technique well enough fairly quickly. You do need to trust your teacher...a little, you do need to give yourself time to learn it, but eventually it must make sense to you. We all have been using our bodies since we are toddlers, we all learned how to walk, ride a bicycle etc. So just as those movements are simple and natural so must our martial arts/Krav Maga movements be the same; simple and natural. It must be simple and natural. 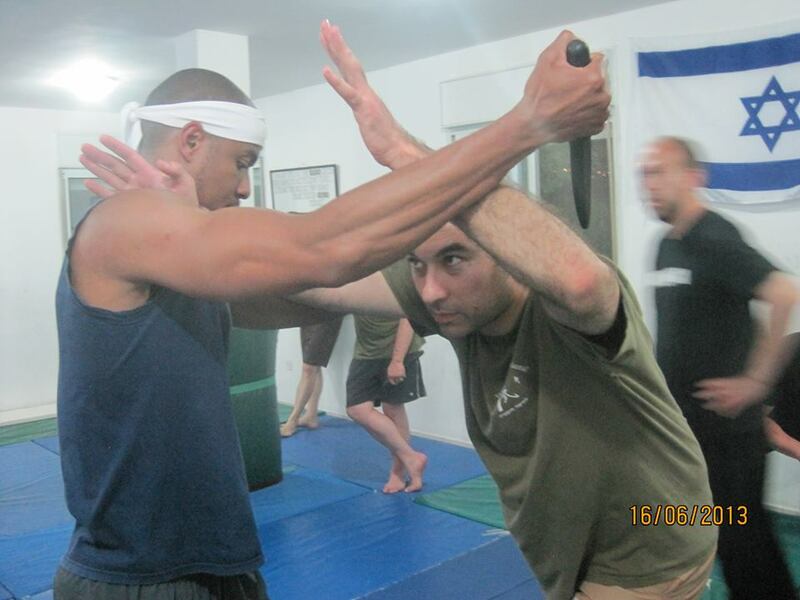 Your chance to experience the fullness of Krav Maga in Israel. Immerse yourself in gun defense, knife defense, stick and hand to hand, in and around a car, hostage situations. Meet people who have "been there" and "done that". Experience the reality of Krav Maga, ask questions and have them answered. Dealing with reality the Israeli way. Krav Maga Tour and Train.